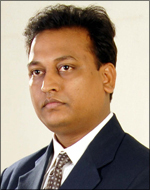 Shri Dayanand Agarwal is the founder of the DRS Group. It is the Chairman’s passion for education and his vision of providing innovative education at affordable costs to the masses that has been a key turning point in the group’s history and that has acted as a driving force in the Group’s unparalleled growth in the education sector. He is a firm believer in the school of thought that education has to provide children joyful learning experiences that shape and define their character. The Chairman is of the view that leaders are not made or born. In his words, leadership is a choice, a belief and commitment to everything that is good and noble within. He is a very simple person and so are his ideas and outlook into any aspect of business. He believes in the fulfillment of commitments and setting well-defined targets that lead to results. He is a man with vision and innovation. He believes in hard work and consistency and advocates a work ethic of passion and dedication. His vision has made the DRS Group a brand name in all the segments it has ventured into. Mr A.K. Agarwal, our Director, is someone who is passionate about supporting and leading the research, development and implementation of new and innovative practices in the education sector. As a firm believer in the power of innovation, he believes in learning from and incorporating best practices from the best international schools in the world. His educational background is chiefly management-oriented and his core-competencies include marketing, expansions and people management. Mr A. K. Agarwal is skilled at getting the best out of people and encouraging them to collaborate and work together and is at the forefront of many of the Group’s outreach and networking initiatives. He has also been instrumental in shaping the school’s policies and inspiring many of its practices, and continues to be a driving force in all its endeavours. 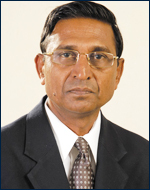 Mr Sanjay Agarwal, has, along with Mr A. K. Agarwal, been closely involved in the establishment and development of the school since its inception. He has a strong work ethic and a hands-on approach that has defined him since an early age. Mr Sanjay has an educational background in costs & finance, and has been key in bringing in cost efficiency, cost management and cost control practices to the DRS Group. He has played a key role in introducing several Accounting and Recovery strategies to the Group. 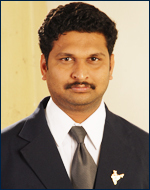 Skilled at finance management, Mr Sanjay is closely involved in areas concerning educational supplies, tools, equipment and infrastructure at DRS International School and continually lends his strong organizational and administrative skills to support the school in its functioning.